Phew! Well this took a while! We at Sated have come up with an area guide to the Best Bars at London Cocktail Week 2017 so that you don’t miss out on some fantastic goings-ons. Squirreled away in there are some sneaky previews of the cocktails you will be sampling. To find out about the Best Events at London Cocktail Week 2017, read our events guide here, and you can find out all about London Cocktail Week 2017 here. A favourite haunt of Sated’s. The classic cocktail bar/lobby of Tristan Stephenson and Thomas Aske’s The Napoleon Hotel & Bars, serving up gorgeous benchmark bevvies in style. Read our review here. 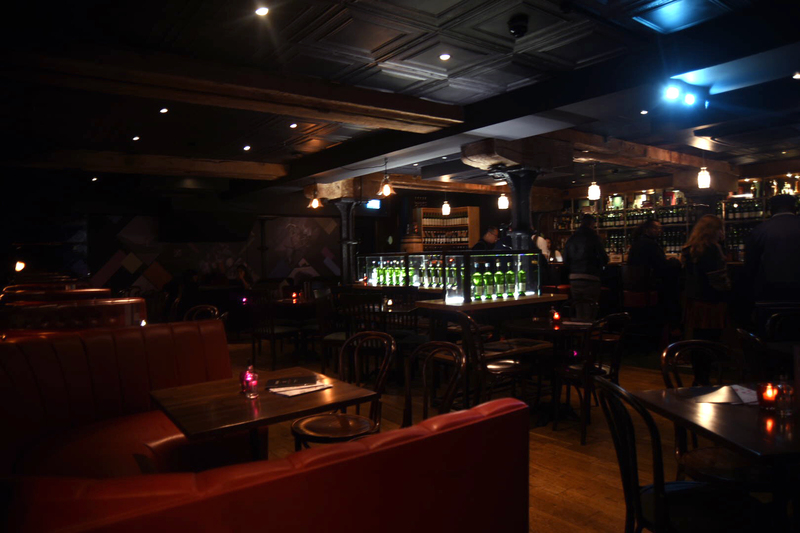 Subterranean haunt, Black Rock, is a fantastic spot for whisky lovers in the know. Whilst they have hundred of drams on offer, they aren’t at all averse to a cocktail or ten, ageing their own in an old oak trunk that acts as both barrel and table. It’s also located under Devil’s Darling so you don’t have far to stumble. Read our review here. 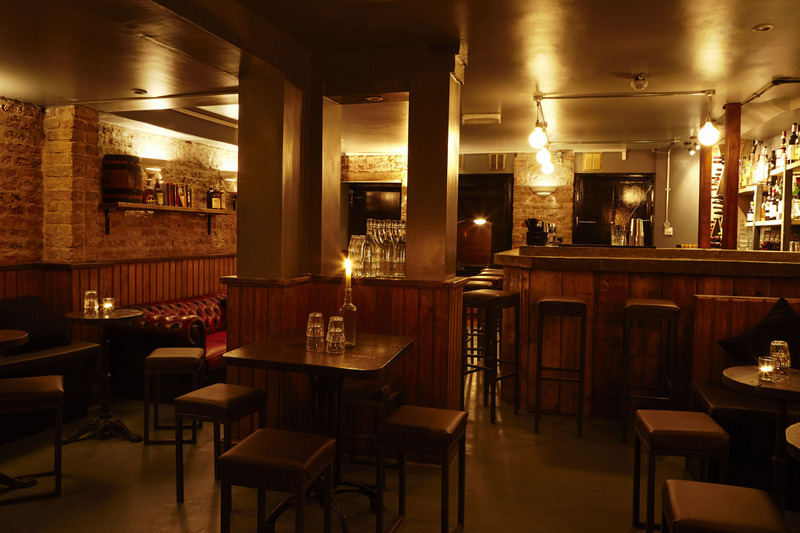 Another gem from Tristan Stephenson and Thomas Aske, Whistling Shop is a sumptuous underground haven for gin and cocktail lovers. Headed by the brilliant Dario Guaglione, and run by a fun and knowledgable team, this will likely become your new favourite date, after work drinks, weekend and “it’s only Tuesday but I need a drink” spots. 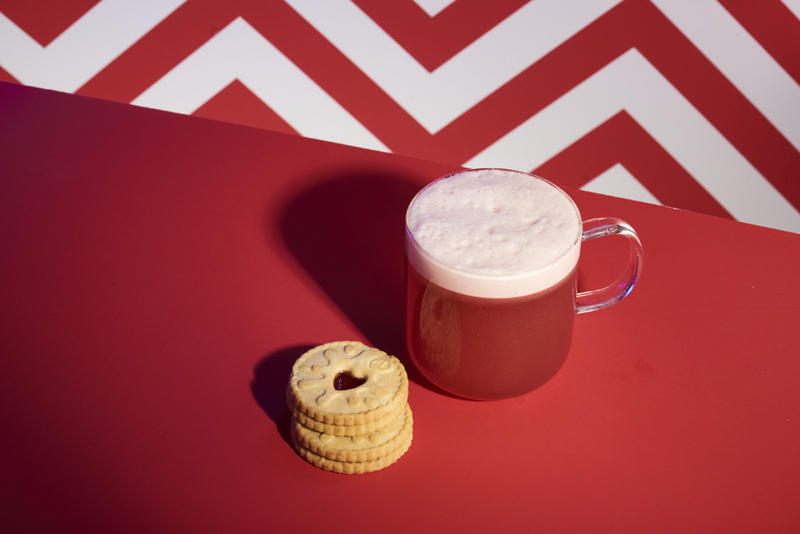 As they frequently team up with brands such as Hendrick’s gin to create bespoke menus, we have no doubt their LCW beverages will be phenomenal. Read our review here. You don’t become the 26th Best Restaurant in the World without knowing a thing or two about flavours. Get on down to this multi-award-winning venue for what promises to be a treat. Another cocktail great, Matt Whiley (Talented Mr Fox, Peg + Patriot etc. ), is a staple on our list. His sustainable, seasonally focussed bar will be sure to deliver the goods and will be playing host to a variety of other industry legends throughout London Cocktail Week (check out our Best Events of London Cocktail Week 2017 article here for more info). Of course, we could not leave these guys off the list. This tiny speakeasy on Horton Street is anything but forgettable, with a much-loved and well-practiced serving up fantastic drinks with a smile. LCW will be no exception and they have some exciting plans in the works that will see the team takeover a bigger neighbouring venue in order to cater better to their popularity levels. Find out what it is in our Best Event at London Cocktail Week 2017 guide. The new(ish) basement bar by the inimitable, Ryan Chetiyawardana (Mr Lyan) – undoubtedly one of the greatest mixologists of our time (we’re not sucking up, it’s simply a fact). Him and his team have yet to ever disappoint so this is certainly a safe bet quality-wise and will certainly be fun. 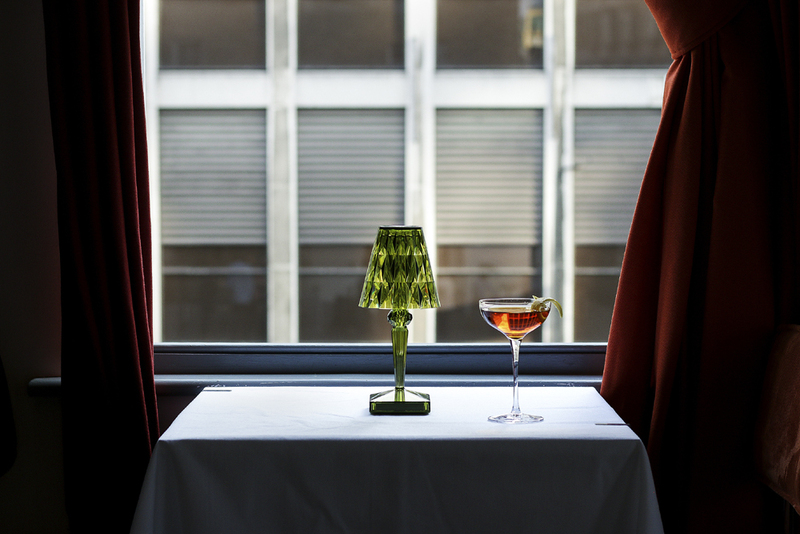 A relaxed, low-key affair that just so happens to be the TimeOut Best Bar runner-up. Owned by two brother, including Max Venning, previously ops manager at Tony Conigliaro’s Drinks Factory, it is a fantastic neighbourhood bar that serves pared-back and intelligently created cocktails on Kingsland Road. We can’t wait to see what they do for LCW 2017. 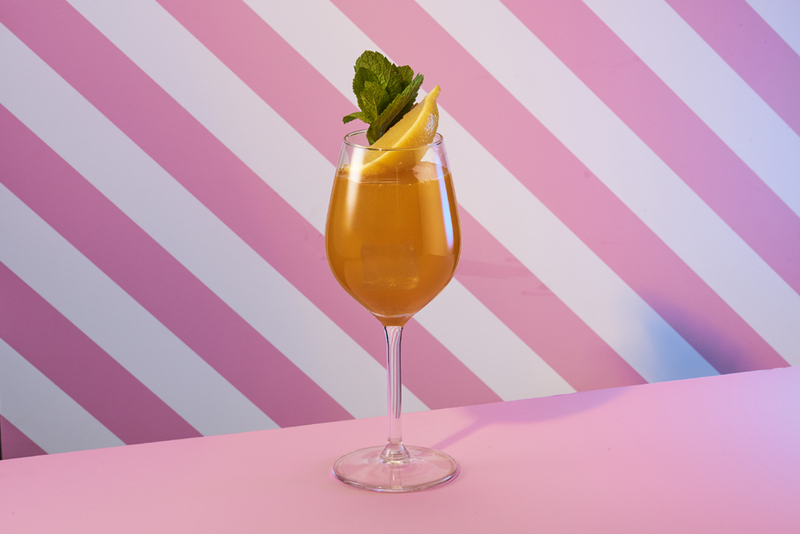 A relative newcomer to Bethnal Green, Coupette is run by former Beaufort Bar head bartender, Chris Moore, and his team including head bartender Franck Dedieu, ex-Redwood, and assistant manager Dan Schofield, who was previously head bartender at 69 Colebrooke Row. Serving up twists on classic drinks using artisanal French liqueurs, this will certainly be an interesting one to visit. One of our great loves. The Sun Tavern is a bartenders’ bar housed in an old East London boozer. Known for their Irish poitín, imaginative cocktails served in metal tankards and fine ales, as well as their lovely music sets and friendly staff, we can’t recommend The Sun Tavern enough. Check out our Best Event at London Cocktail Week 2017 for a glimpse into what they’ll have on during the week. It’s not everyday you get to drink in a bar in a MacBook repair shop, but now is your chance! The Natural Philosopher is a cosy spot resembling something between a Victorian sitting room and the home of a horder of vintage computers and taxidermy, and serves up great cocktails whenever it decides to open up the bar. Check out our Best Event at London Cocktail Week 2017 to see what they’ll be up to. A familiar name of the ever-growing Bethnal Green cocktail scene. These guys serve up fantastic cocktails in a wonderfully intimate and stylish setting (plus they have their own unicorn skeleton, so what’s not to love?!). Be sure to book ahead of time as they operate a seated serves only policy. Check out our Best Event at London Cocktail Week 2017 to see what they’ll be up to. Another of Matt Whiley’s babies, located in The Town Hall hotel. Known for its unique and intriguing cocktails including interpretations of Jam Tart and Foie Gras, this is a not-to-be-missed chance to try something new from the team at the lovely price of £6. A fun and intimate cellar basement beneath a liquor store serving classic cocktails and plates from pop-up kitchens – what’s not to love?! Check out our Best Event at London Cocktail Week 2017 for info on what they’ll be doing. Inspired by his adventurous travels, award-winning bar champ Richard Hunt brings you this light and bright tea room and aperitvo bar. A bartenders’ bar to be sure. Scottish restaurant, Mac & Wild, is becoming a bit of a household name, but their new, semi-secret Kaleidoscope Bar (a Scotch Malt Whisky Society hangout) is only now starting to be noticed by the masses. 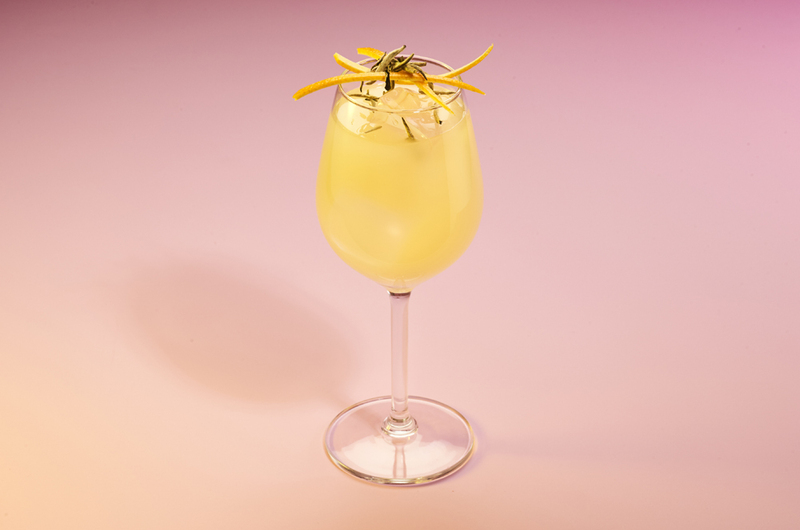 A gorgeously debonair den, headed by Jamie Meehan, the drink on offer are always a delight and we can’t wait to see what they come up with this LCW. A restaurant that specialised in steak and a bar that favours barrel-aged cocktails: what’s not to love? Known for breathing new life into classic cocktails, we imagine their LCW menu will be refined, well-curated and a little bit exciting. Sushi and cocktail high in the sky. Why not?! With a bar run by “The Cocktail Guy” Rich Woods, there’s little chance of anything produced disappointing, and if they do, well you’ve just managed to get a drink in Sushisamba for £6 so you’re still winning. Ah, The Ned. Everyone’s new favourite Soho House. How could we not include this beauty?! If you haven’t been yet, now is your chance to enjoy some fantastic drinks in a truly exquisite setting. A true love of ours. Oriole combines award-winning design with truly breathtaking cocktails and incredibly live jazz and blues. No matter which area your spending your LCW in, do your best to check this place out – you won’t regret it. If you need further convincing, check out their Instagram. 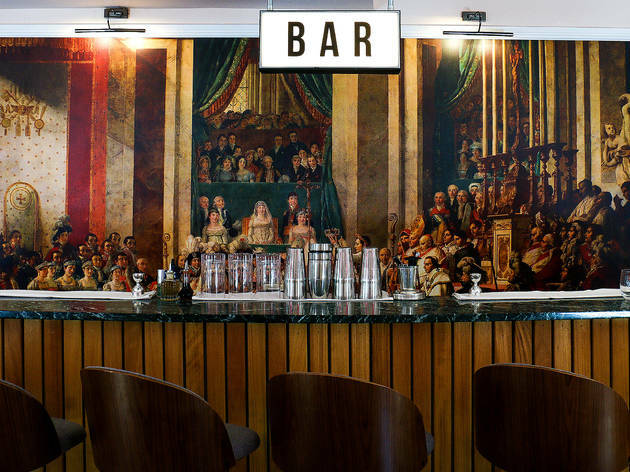 A decadent Tony Conigliaro (The Godfather of Molecular Mixology) bar lazing in Clerkenwell. Comfy, refined and filled with cocktail wizardry, this is another not-to-be-missed LCW hotspot. We all love a hidden bar, but this one is something special. To get you it, you will need to walk through one of our favourite whisky bars, Milroy’s, and push open a bookcase door. Follow the stairs down and you will reach this dim and delightful underground spot. Head Barman, Chris Tanner (ex-Milk & Honey), oversees the goings-ons and you will not be disappointed by what he and his team have on offer. Book a seat ahead of time if you’re coming with a group of people. Whilst you are waiting for a seat to free up downstairs, grab a pew at Milroy’s. We were elated when visiting last year as we were treated to our favourite drink of London Cocktail Week – which is saying something as we were somewhat exhaustive in our tastings. This will definitely be near the top of our list of venues to visit this year. Always a spectacular place to have a mid-week cocktail, the bar lobby is truly impressive and grand. Drinks on offer are well placed and rarely disappoint. Whislt you’re there, definitely take the time to pop into this Michelin-star wonder. The food menu is laden with British ingredients and the cocktail list doesn’t shy away from this either. Drinks are nuanced and refined. A smooth and Mad Men-esque, American steak house housing an Art Deco cocktail bar that serves up some pretty great cocktails with a dash of humour; last year’s LCW invention was given to us in a Beer pong red cup and garnished with a ping pong ball. Another much-loved haunt of ours (are we coming across like alcoholics yet? Hopefully just “people in the know”). 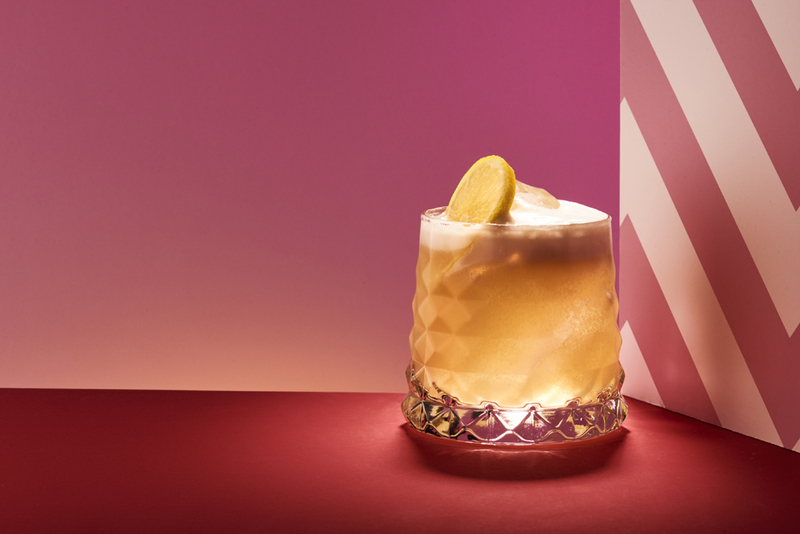 Jason Atherton’s Blind Pig recently launched a new cocktail menu inspired by Children’s Literature (read our review here) that had us all aquiver with anticipation. 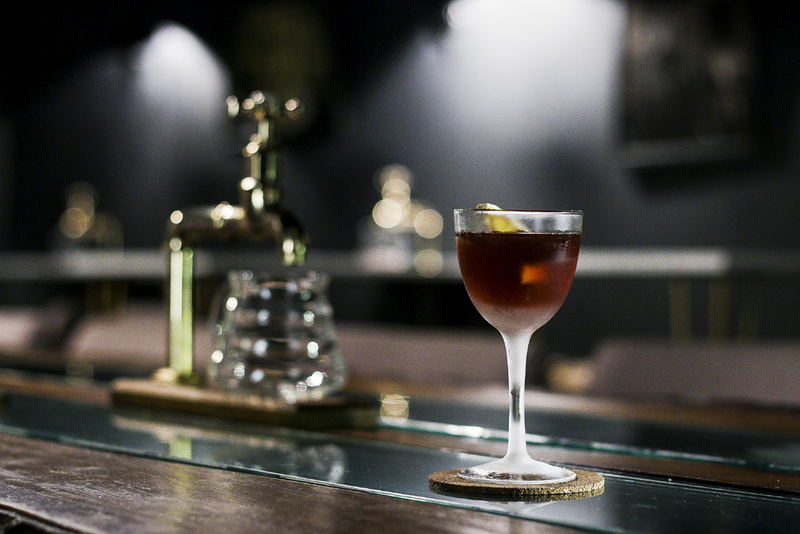 Drinks here are always delightfully engrossing and we can’t wait to see what London Cocktail Week brings. A members’ bar that is open to the public before 11pm every night. This is a true hidden gem off Kingly Court with a gorgeous concept menu that gives its drinks human personas. A beautifully designed new addition to Soho that we look forward to getting to know more. Unapologetically decadent and entirely glamorous, The Beaufort Bar at The Savoy is a true gem, worthy of its many awards. Led by Alex Walker, the cocktail menu is extensive and as well designed as the space itself. We look forward to seeing what they cook up for LCW 2017. Another Darling of Sated’s. Orrery is a beautifully bright, airy restaurant with exceptional staff and both food and drinks that always hit the spot. It’s also relatively quiet and relaxed, meaning it may be a welcome break from the LCW madness. Hotel bars don’t get much more elegant than this. Debonair in fashion and eloquent in tipples, Scarfes Bar promises not to disappoint this London Cocktail Week. No matter what day of the week, the venue is almost always rammed so do try and get there early, but don’t expect a seat. Created by MKV Design, Smith & Whistle takes inspiration from the fictional story of Detective Inspector Smith and his pursuit of high-class criminal Mr Whistle during the inter-war years. Cocktails are classic in nature with the occasional quirky twist, and the décor is singular. Do we really need to justify the inclusion of this one? 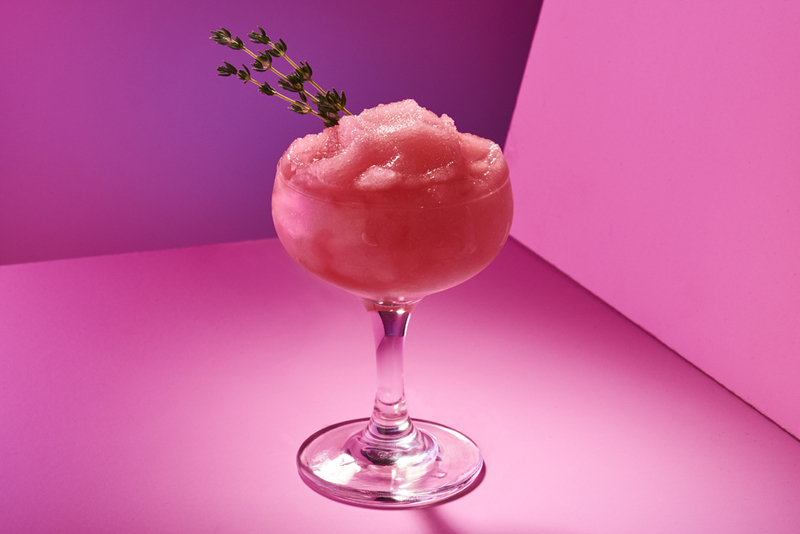 The restaurant is known for their inventive menus and world class presentation, yet the cocktails are not to be snubbed. Innovative flavor combinations abound using seasonal ingredients and intriguing methods. Their LCW editions will no doubt be an experience to savour. If you’re not already drawn to the name, this expansive Asian restaurant’s reputation for producing stellar cocktails should help walk you through the door. Their drinks menu is presented as a glossy magazine with beverages living up to this couture statement. We expect their LCW choices to be glamourous showstoppers. We first came across OPSO a few years back when it opened. A lovely little Greek restaurant producing authentic, high quality cuisine. Typical to Greek hospitality and sociability, the bar staff are wonderfully lively and slightly eccentric. Cocktails are made using a whole host of Greek liqueurs and are pleasantly unusual. 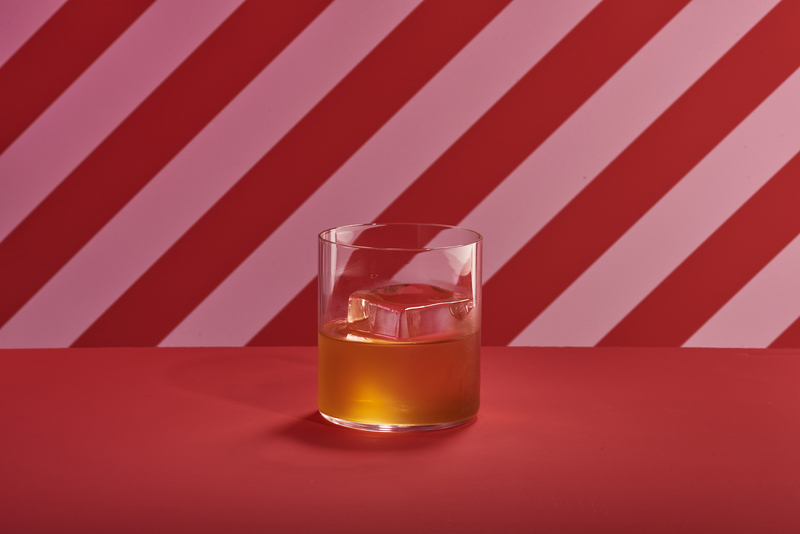 Whilst the world-renowned head bartender, Alex Kratena, has moved on from Artesian, the new team led by Gabor Fodor, continues to create some of the most visual stunning drinks in London. We can’t wait to pop in and see what has been developed for the occasion. The recently opened gastropub by Michel Roux Jr – yes, you read that right. We must admit we’ve yet to venture into this one but have heard promising things. If you end up there, give us a Tweet and let us know what you think. For a full list of the bars involved in LCW 2017, visit the website here.